UN humanitarian officials warned that a million people in Libya may soon require emergency assistance due to shortages of life-saving medicines. An absence of any central authority in post-Gaddafi Libya, and the endless fighting between a large number of militias, is cultivating chaos in the country. Hospitals in Libya are either not functioning or in very poor condition due to anarchy following the 2011 insurrection that toppled Gaddafi. "Our estimation is that by the end of March, Libya may run out of life saving medications which will impact about one million people," UN humanitarian coordinator for Libya Ali Al-Za'tari told Reuters on Monday. "If there is no medication and medical supplies coming in, that will be a real issue for Libya." 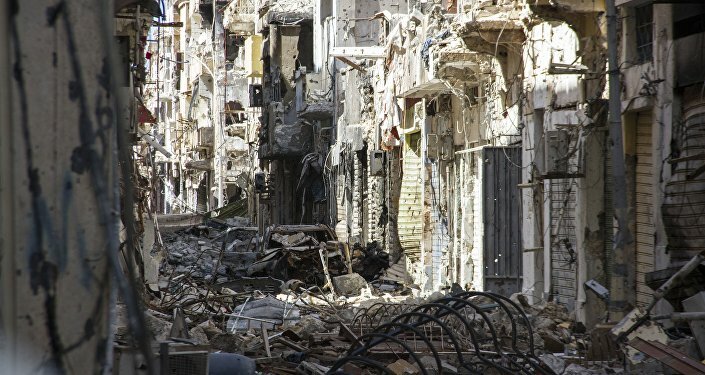 The destruction of the Libyan healthcare network has been aggravated by crises in the region spanning several years, Since 2014, Libya has had two competing governments, one in Tripoli and another in the east, both backed by loose alliances of armed brigades and former rebels. Most of the hospitals in Benghazi have closed their doors due to the instability, according to Al-Za'tari. Only one or two facilities are still functioning, but they are of low quality and are now quickly running out of resources. "It is really difficult for a hospital to continue like this in a town that is witnessing constant daily fighting in certain parts," Al-Za'tari said. Soon there will be no place left in the country for Libyans to receive proper care. The problem has reached a point where 1.3 million people in Libya need humanitarian assistance. The UN appealed to the international community for $166 million in financial aid for some 2.4 million affected Libyans, of which only $4.4 million was made available, a mere 7.3 percent of what was requested. "The perception is Libya is rich and can fend for itself. Libya is rich but it can't fend for itself today," said Al-Za'tari, in reference to Libya's status as an oil producer. "It is not an easy story to sell and I admit it. I am living it. Telling people that Libya has a humanitarian situation makes them go back in their seats and say ‘no way.'" Al-Za'tari was due to meet Arab League delegates on a visit to Cairo to explain and highlight the overall deterioration of the health network in Libya. He stressed that unless the international community promptly pays due attention to the humanitarian crisis in Libya, the situation would worsen and could have global consequences, including the spread of infectious diseases.